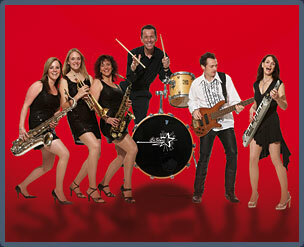 The UK's most danceable and entertaining party band, five piece to seven piece. All girl brass section with male and female lead vocals. Probably one of the best bands for weddings and corporate events for any number of guests, large or small, with an innate ability to read any audience. As well as being very visual they also guarantee to fill the dance floor.